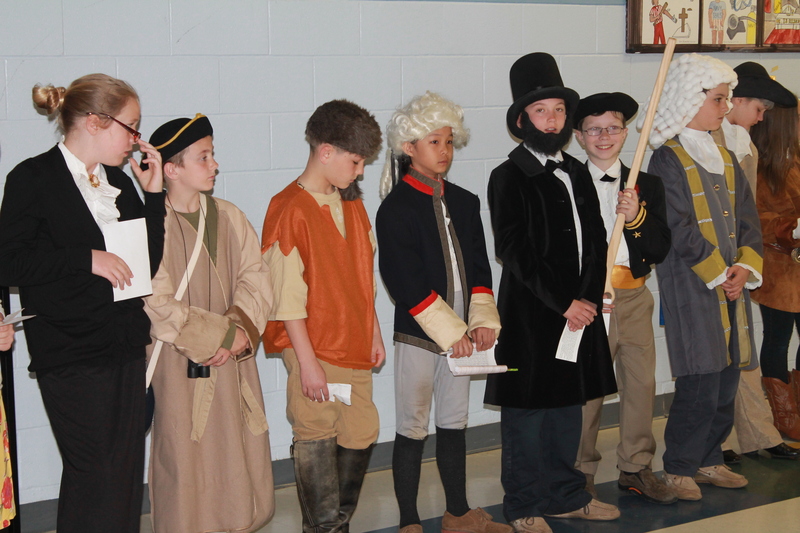 St. Pat’s 4th graders began their social studies project by picking a famous historical figure. 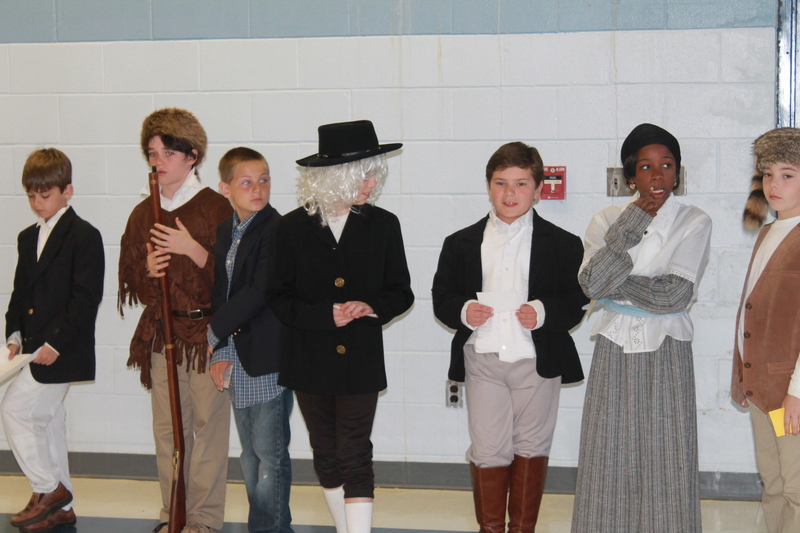 After weeks of research and preparation, they presented their person to their parents and the entire student body. Part of the project was dressing up as the famous person, as well as creating a bottle person or a poster. 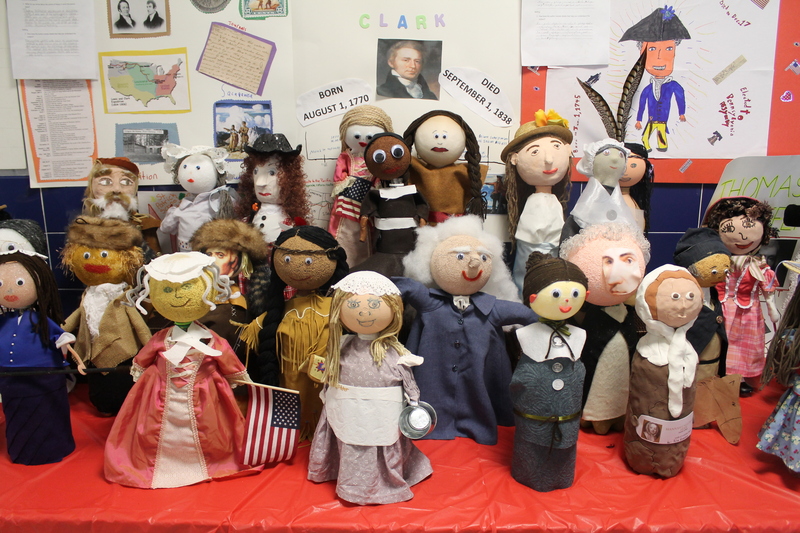 Maggie said that her favorite part of the project was dressing up as Susan B. Anthony. Nathans’ favorite part was gathering the information and giving his speech to an audience. Both students stated that they learned a lot about their famous person and also the famous people that their classmates researched. They told me that the project counted as a social studies grade, a listening and speaking grade, and a grade for writing. 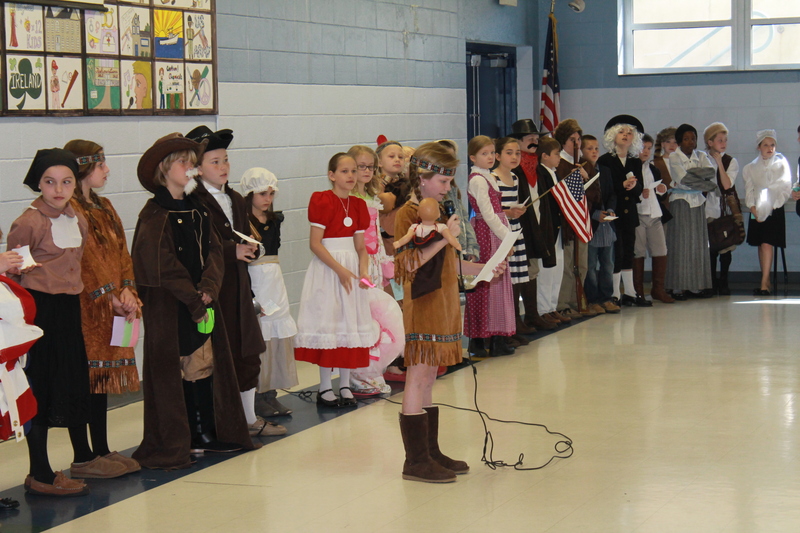 Great job, 4th Grade! Go Warriors! 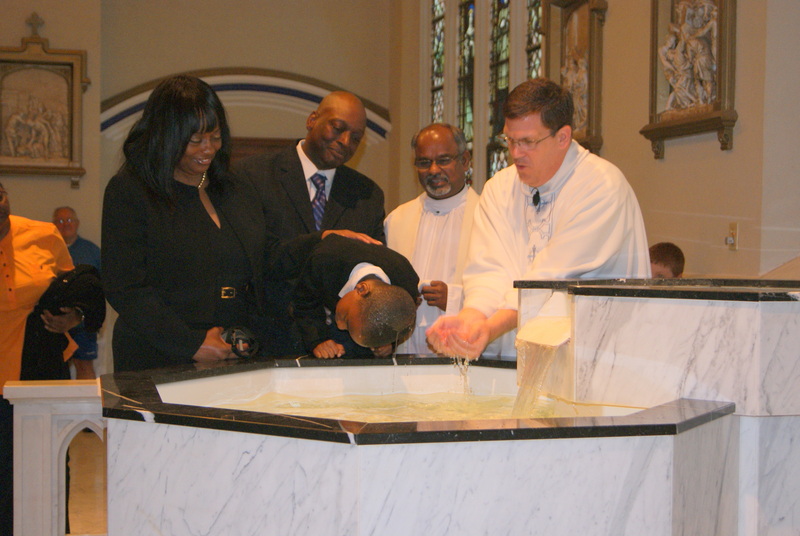 St. Pat’s Welcomes A New Member! 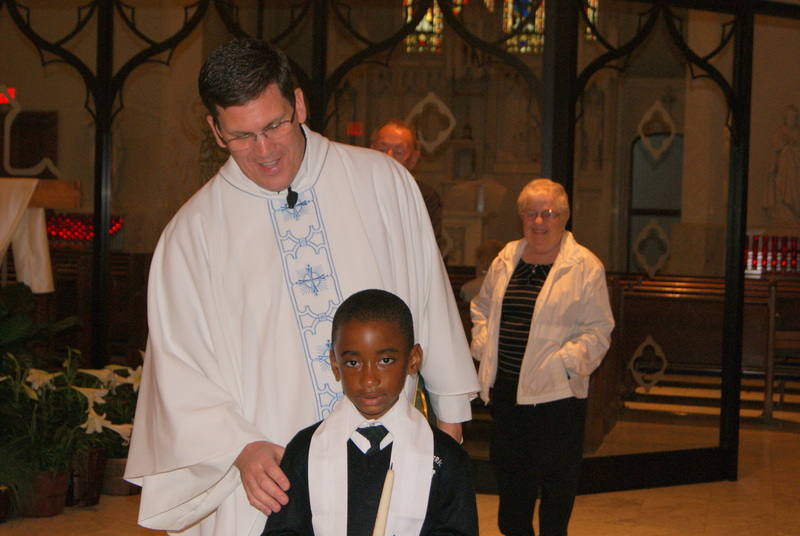 Friday during our PreK-4 liturgy, we welcomed one of our First graders, Kevin Knox, into our Catholic family! When I asked Kevin how he felt he told me: ” I was a little nervous and I thought the water was going to be warm, but it was cold.” He also told me that he knew his classmates and his friends were really happy for him – and he is right about that! 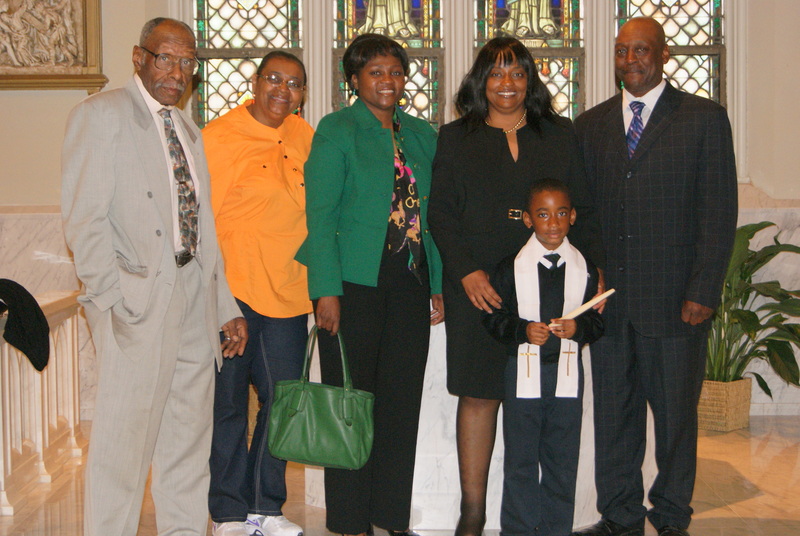 We all celebrate Kevin and his becoming a Catholic – Congratulations to Kevin and his family! Go Warriors! This past Monday the 8th grade spent the day on retreat at Malvern Retreat House. Through games, discussions, sharing, presentations, reflection and prayer, the students were able to spend time deepening their relationship with God. They used the grotto and chapel spaces to quiet themselves and listen to Jesus speaking to them. Meghan and Grace said the day was fun and faith-enriching. They liked the interaction and the fact that the activities were on their level. The 8th graders also felt that the retreat helped them grow closer as a class.